Drug store chain Rite Aid Corporation (NYSE:RAD) sailed to new highs this week as the company reported in its earnings release a return to annual profitability. The $2 billion company is trading up over 40% in the last year, and 60% since the beginning of 2013. The thing is, earnings did not show much to celebrate in the operating business, and its black bottom line was more the result of cost-cutting efforts and margin enhancement. At more than 20 times forward earnings, the market clearly is expecting some degree of sales growth down the line. Is this an accurate assumption, or should investors exercise caution? The Street was expecting a loss for the fourth quarter of 2012, even though the company had achieved profitability in the prior quarter — against analyst estimates. Instead, Rite Aid Corporation (NYSE:RAD) posted earnings per share of $0.13. This helped lead the company into its first profitable year since 2008, to the delight analysts. In the prior year’s quarter, the company posted a loss of $0.18 per share. While the headline numbers look appealing, investors need to read between the lines. Fourth-quarter revenues were actually down by $600 million, though partially due to the prior year’s fifty-third week. More importantly, same-store sales sank 2% year over year, due, in part, by more generic drugs at the pharmacy. Management was eager to point out that generic drugs tend to drag down sales, but prove helpful to gross profit. For the year, the company earned $0.12 per share, with an adjusted EBITDA of $1.13 billion. Same-store sales dropped a negligible 0.3%. The company closed 44 underperforming stores, and remodeled over 500. It did not open any new stores. I’m a sucker for turnaround stories, but this one has yet to ring a positive tone for me. The return to profitability is commendable, and clearly, management has taken action to get the company on a growth track — like its peers Walgreen Company (NYSE:WAG) and CVS Caremark Corporation (NYSE:CVS). But remember that these seemingly positive figures are not indicative of sales growth or any other organic factor. In the coming quarters, investors need to keep an eye on two crucial metrics: same-store sales and sales per square foot. With the massive remodeling (and closure of unsalvageable stores), we need to see these numbers swing up in a material way. Store remodelings are great, but only if they result in more customers and more sales. At this point, we just don’t know if that’s the case. For 2014, EBITDA is projected to come in at just over $1 billion, with net income between $0.04 and $0.20 per share. This guidance is likely hinged upon the efficacy of continued cost-saving measures, and the upward performance of newly remodeled stores. 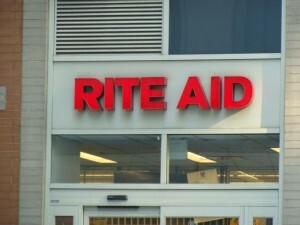 Investors intrigued by Rite Aid Corporation (NYSE:RAD)’s recent rise may want to wait until more data is available regarding the remodeled stores. The company’s cost cutting and reorganization has been effective, but at some point, sales growth must take the front seat. The article Rite Aid’s Earnings: A Bandage, Not a Cure originally appeared on Fool.com. Fool contributor Michael Lewis has no position in any stocks mentioned. The Motley Fool has no position in any of the stocks mentioned.